One in five divorces in the UK now cite Facebook as a contributory factor. It reminds me of a good coment by a New York comedian, perhaps the only joke ever made about what the academics call ‘social capital’. I am meeting up with James Crabtree of Prospect magazine this morning, to hear more about his meeting with Tim Berners Lee on open data. The great man (Berners Lee that is) has set out his thoughts on next steps in the new issue. During 2009, shop closures and pub closures were at record levels, with 1,000 rural shop closures predicted for the year and pub closure rates (urban and rural) at 2,400. And it is predicted that some 2,700 pubs are likely to shut down during 2010, so that one pub now closes every three hours, with big consequences for the lives of local communities. I was in Salford a few nights ago to visit Britain’s first urban co-operative pub, the Star, and our newest member. There had been four other pubs locally but all had closed, when the community were given three weeks notice by the pub chain that the Star was going to close and be put up for auction. Local people, like Jim Simpson (left), clubbed together to raise the money to buy the Star for community use. Behind the bar, Sue, who had worked there for thirty years, got her old job back and the doors reopened. The pub closure rate has increased over recent years, from 316 net closures in 2006, to 1,409 in 2007 and 1,866 in 2008. The UK currently has around one pub for every 1,100 people, but pubs stand or fall by being local. Surveys show that consumers are less concerned with what drinks are on offer than that the ‘local’ is in fact local. As the profitability of pubs has become harder to sustain, the risk is that the UK will reach a tipping point of closures, in both rural and urban settings. With at least 5,000 recorded pub names, from the Round of Carrots to the Strawberry Duck, the Jolly Taxpayer to the Mad Dog, we are also losing cultural diversity – what is distinctive to local areas. 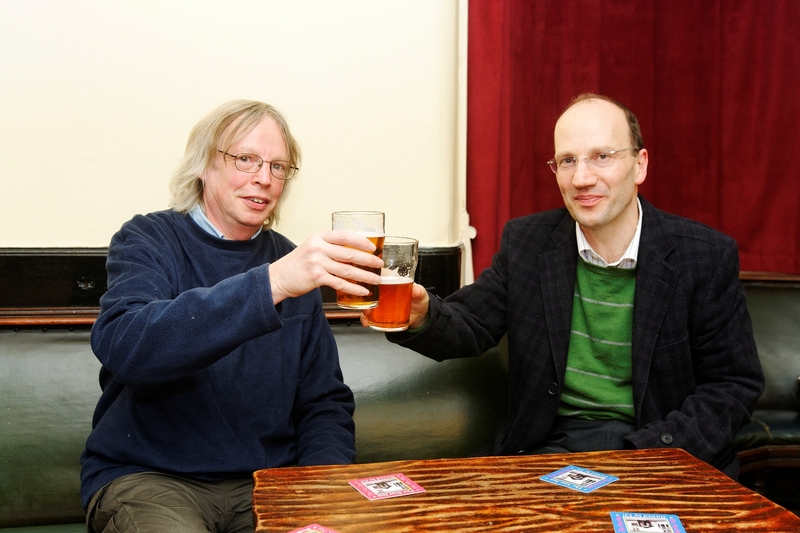 With help from colleagues, I have co-written a report out today, Calling Time on Pub Closures, with Julian Ross, who was behind the UK’s first co-operative pub, the very successful Old Crown in Cumbria. It is an inspiring story of communities fighting back. One great pleasure I have is visiting member cooperatives. 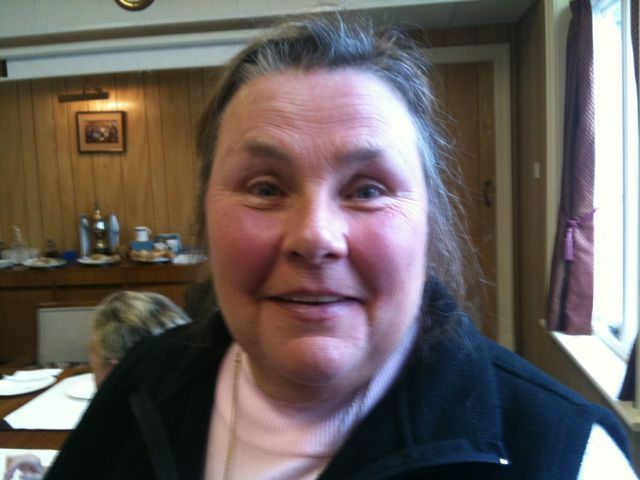 Audrey, bright, sparky and independent is elected Chair of Tamworth Cooperative Society. Her day job is a lollipop lady and I saw her in both roles when I came to Tamworth. Hazel Henderson has let me know of a new climate index she has helped to launch of investment in the low-carbon economy. The Global Climate Prosperity Scoreboard® from Ethical Markets Media and The Climate Prosperity Alliance shows $1,248,740,645,993.00 (over $1.248 trillion) in total investment since 2007 in sectors such as solar, wind, geothermal and energy efficiency. We are talking telephone numbers and hoping they can only get bigger. When last in Margate, I caught sight of it’s venerable rollercoaster and it is Margate that comes to mind when I reflect on the astonishing rises and falls in energy prices over recent years. The ups and then downs have been greater and more rapid than at any point in modern economic history. The rollercoaster is good for speculators who lose out in stable times but it is extraordinarily difficult for those investing in a new, renewable energy economy. It’s a shame then that today, the news from the USA is that there will be no real crack down or scrutiny of the speculation that adds to the ups, downs, twists and turns. We have accepted as economic orthodoxy the idea that stable consumer prices are good for business. We now need new interventions, perhaps carbon taxes linked to price stabilisation thresholds, perhaps tighter caps on futures trading, all to make energy a fairer ride.